What can I say about the conclusion to the series that has dazzled me for years (becoming my all-time favorite) other than: wow. Assassin’s Fate was beautiful, terrible, and profound. I savored each page, painfully aware it might be the last time I experience this world. I’ve never been as emotionally invested in a story as I was with Hobb’s work, her writing draws you in so completely that you forget yourself for a while, totally at the mercy of her story. Each of her series evoked real emotion – a sense of love and loss that is almost unparalleled by anything else I’ve ever read. Assassin’s Fate was the most gut-wrenching to date, but it was worth every painful, poignant moment. I’ll be reeling from this one for years to come. I love this series for so many things: its rich histories and epic world building, its endearingly human characters (flaws and all), its immersive writing, but one of my favorite things about it is the subtle weaving of dragons into the story. It’s quite brilliantly done – dragons always seem to be the center of the overall arc of each series, but are often kept on the periphery of the events within each book (with the exception of the Rain Wilds Chronicles). The further you read, the more you start to realize their significant impact on the world and characters. As someone who loves dragons almost obsessively, I ate up every word. Hobb’s representation of them is truly breathtaking. Oddly though, I wouldn’t call these series dragon-centric because, while essential to the plot, they are usually not the focal point. Above are the first books in each of these amazing series, respectively. Each series brings with it loads of new discoveries, and I cherished every detail. Learning the histories of this world is also one of my favorite elements to the series. Each new detail felt like a revelation, and it got to a point where I was hanging on every word, hoping to find out more. Who knew it would go so far beyond the somewhat narrow framework of a little orphan boy at Buckkeep castle in Assassin’s Apprentice? All the books Hobb has written in this world are amazing. Each story is a slow burn that takes its time, building momentum as it goes. By the time you reach the end, you’re hurtling so fast you wish you could slow it down to savor every moment. 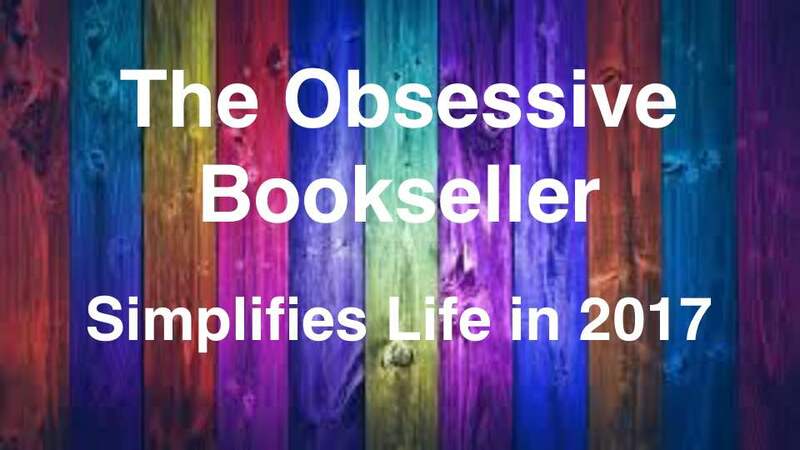 Assassin’s Fate and every book that came before it are officially The Obsessive Bookseller’s top recommends. I loved every beautiful, gut-wrenching moment and will keep these characters close to my heart forever. Top Ten Upcoming 2017 Book Releases! I may have mentioned at some point that I write bi-weekly reviews for a local newspaper [suindependent.com]. Recently they requested an upcoming releases feature and I was more than happy to oblige. Some of the text may look familiar from other posts I’ve done, but don’t let that distract from your excitement of these awesome new books! Mercedes Lackey strikes again!! Hunter and Elite are easily my favorite YA releases from the last couple of years. They have interesting characters, great action, awesome fantasy elements (with a slight dystopian twist), and a storyline revolving in no small part around competition. I totally devoured them, and have been waiting impatiently all year for the next book. I imagine Oathbringer is number one on most people’s list of most anticipated releases of 2017. The Way of Kings and Words of Radiance are two of the best books I’ve ever read and I consider them must-reads for the genre. Having read everything Sanderson has on the market, I’m justifiably confident that this third Stormlight Archive book is going to be amazing! I CAN’T WAIT!!! Carson’s Girl of Fire and Thorns trilogy is my all time favorite teen fantasy series, and I have to say, even though the Walk on Earth a Stranger and Like a River Glorious leaned more towards historical fiction than fantasy, I enjoyed them immensely. This author writes amazing characters, compelling plot lines, and completely immerses her readers into her stories. I have no doubt Into the Bright Unknown will be a stellar conclusion to this great series. I’m very passionate about Hobb’s epic Fitz and the Fool saga. There have been so many profound moments throughout it, and it only seems to get more poignant with each book. I’m especially excited for Assassin’s Fate because it’s likely going to incorporate characters from The Rain Wilds series (which focused heavily on dragons <3), so I couldn’t be more excited. This is the sort of armchair adventure series that’s guaranteed to be a good read every time. I can’t wait! Richelle Mead has long been one of my top authors. The Glittering Court was the perfect cure for my Selection (the series by Kiera Cass) hangover. It had smart writing, girls in pretty dresses, and a fun dynamic between all the characters. Even though the story took an odd turn (for my tastes, anyway), I’m still eager to see where things go in the Midnight Jewel. If you haven’t yet read Red Rising [check out my Trilogy Review], chances are good that you’ve at least heard of it. And let me assure you, it’s worth every bit of the hype it receives. Iron Gold is a next-generation continuation of the story, and you’d better believe I’m excited to read it. Brown created such a cool framework for his society, and I am most eager to see how it has evolved after Morning Star’s events. October can’t come too soon! I raved about this series in my reviews of Fifth Season & Obelisk Gate, and can’t imagine Stone Sky being any less brilliant. It’s such a unique story. Maybe a little hokey on occasion, but I guarantee you’ve never read anything quite like it. I’m mostly looking forward to having all of my questions answered… there are so many layers of mystery in this series that will hopefully come together with a bang. Reason for Recommending: The Expanse series is easily my favorite space opera science fiction on the market. I’ve thoroughly enjoyed every book so far and hope Persepolis Rising regains some of that awesome momentum that Babylon’s Ashes was missing. The series has a lot of action, great characters, and tons of memorable moments. If you haven’t picked it up yet, what are you waiting for? It’s awesome! Reason for Recommending: The Waking Fire is one of the best books I’ve ever read – it felt like it was written just for me! Dragons, adventure, steampunk, and so much more – it was awesome! Sandrunners: A Draconis Memoria short story was pretty good, but it didn’t do much to hold me over. I’m so excited for Legion of Flame, I can hardly stand it. Is it June yet? If you caught my recent review of Ivory and Bone, you’ll remember me saying I really enjoyed the book, but had a few issues with the logistics feeling a bit forced. Eshbaugh was modeling the story after Pride and Prejudice, trying to follow the same basic storyline. I am really hopeful that this sequel will feel a little more organic and free-flowing. I’m anticipating liking it even more. Ivory and Bone had such a cool prehistoric setting that I find myself already eager for more! After loving Robin Hobb for so long, I kept thinking there’d come a point where her work would stop dazzling me at every turn. That maybe I’d get used to it or something. What I didn’t expect was to love her more and more with every book, and Fool’s Quest was one of her best yet! After following Fitz’ journey for eight books now, I am at the point in the story where every minute revelation about the characters or the world (and the history and magic within it) strikes me as profound. I find myself completely immersed in the pages, eagerly seeking my next discovery – discoveries that percolate in my brain and keep me thinking about them months, even years later. 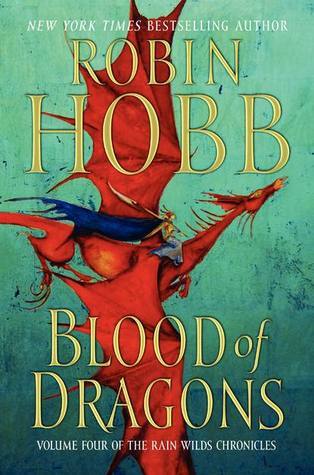 But that’s just the kind of brilliant storyteller Robin Hobb is. I remember with the same vivid clarity things that happened in the first trilogy as I do those that happened within the last book. The ending of Fool’s Fate rocked my world so much, it’s partially responsible for why I started a book blog (I just HAD to talk about it). I think part of the reason these books have such an impact is the culmination of story. What made Fool’s Quest so profound is that it finally converged Fitz’ tale with Hobb’s other stories (Liveship & Rain Wild) that were only on the periphery up until this point – and it was AWESOME in the truest sense of the word. It’s as if all that came before was one long buildup to this brilliant moment where everything finally converges… AND THEN THE BOOK ENDED!!! And I’m on the floor sobbing because I have to wait another year to experience the final book in the trilogy. What makes these books hard to wait for is what also makes them so special to me. They evoke real emotion and a sense of love and loss that is almost unparalleled by anything else I’ve ever read. Hobb continues to make a very compelling case to claim the spot as my favorite author. When I think about my reading experience, I’m always grateful for her books and how they’ve shaped me as a reader, reviewer, and writer. Overall, if you like fantasy, I consider Hobb a must-read. The slow pacing of her stories allows you to savor every moment and become completely immersed in this world and these characters. I always come away with a fulfilled sense of having lived another life. I can’t help but recommend them as often as I can – start with Assassin’s Apprentice, you won’t regret it! 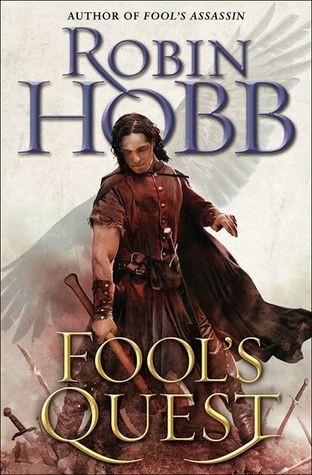 *Thank you Random House Publishing Group, NetGalley, and Robin Hobb for the chance to read and review an early copy of Fool’s Quest– you made my year!! The Overview: The dragons’ survival hangs in the balance in the thrilling final volume in the acclaimed River Wilds chronicles fantasy series. The dragons and their dedicated band of keepers have at last found the lost city of Kelsingra. The magical creatures have learned to use their wings and are growing into their regal inheritance. Their humans, too, are changing. As the mystical bonds with their dragons deepen, Thymara, Tats, Rapskal, and even Cedric, the unlikeliest of keepers, have begun transforming into beautiful Elderlings raked with exquisite features that complement and reflect the dragons they serve. But while the humans have scoured the empty streets and enormous buildings of Kelsongra, they cannot find the mythical silver wells the dragons need to stay health and survive. With enemies encroaching, the keepers must risk “memory walking”- immersing themselves in the dangerously addictive memories of long-deceased Elderlings – to uncover clues necessary to their survival. And time is of the essence, for the legendary Tintaglia, long feared dead, has returned, wounded in a battle with humans hunting dragon blood and scales. She is weakening and only the hidden silver can revive her. If Tintaglia dies, so, too, will the ancient memories she carries – a devastating loss that will ensure the dragons’ extinction.